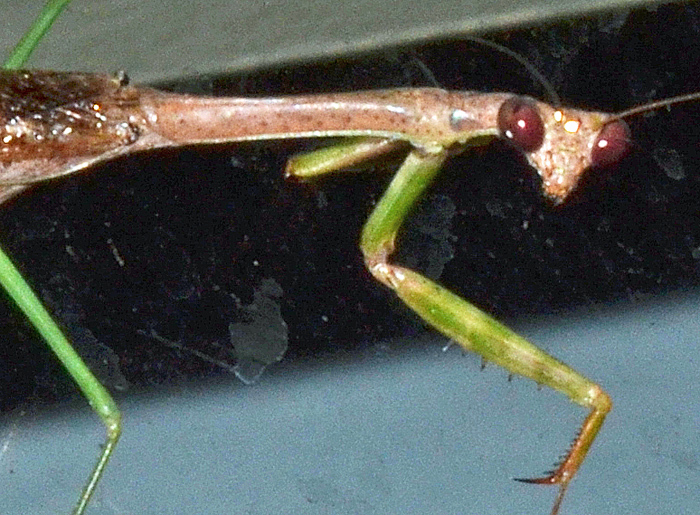 Stagomantis has six North American species: californica, carolina, floridensis, gracilipes, limbata, and venusta. 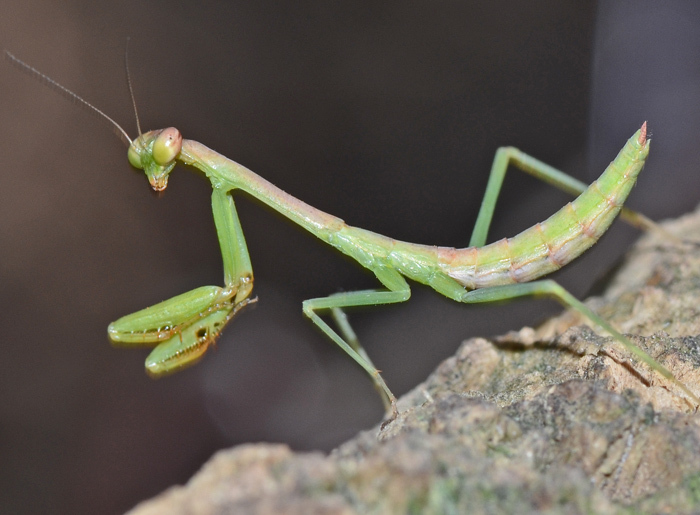 Mantids are rather sedentary and may spend their whole lives on one tree as long as there is a good supply of food. In late summer males look for potential mates. They fly more than females and usually at night. Also notice the interesting patterns on the chain-link fence (see photo below). 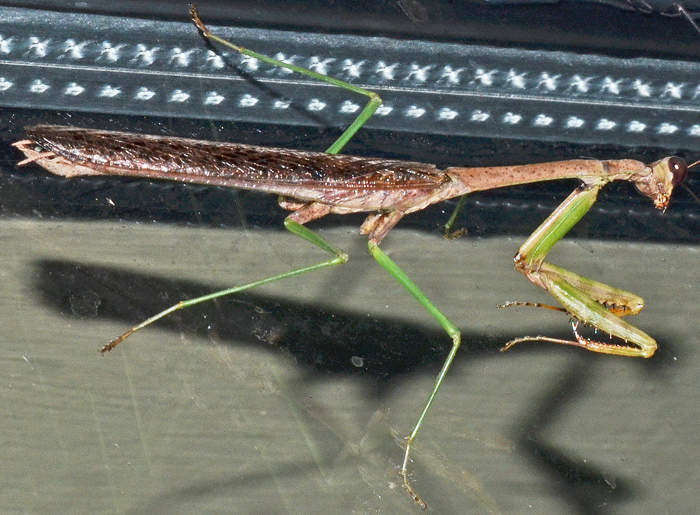 Stagmomantis carolina (Carolina Mantis) ♂. Size: approx. 50 mm. Photo: 09/12/15, 9 pm. 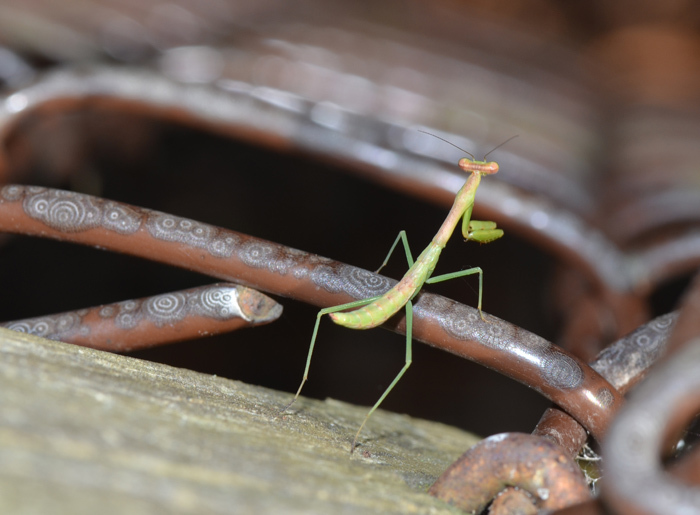 The State insect of South Carolina: the impressive Carolina Mantis! In case you wonder about the other 49 states, check out the second link. In this species, the head and the thorax are almost as long as the body. Moreover, its antennae are about half as long as the middle legs (not shown in photos). Males are usually brown, whereas females are green or brown.